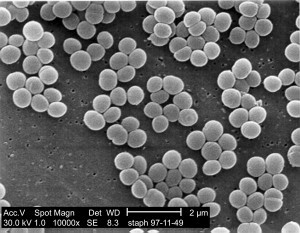 Microbes are those organisms that are microscopic and include some of the eukayotes (protist, fungi, algae, and microscopic invertebrates) and all prokaryotes (bacteria and archaea). Viruses are also included in the microbes, but we are not going to cover these fascinating entities in this module. For more information on viruses, you can visit the Wikipedia entry on viruses. 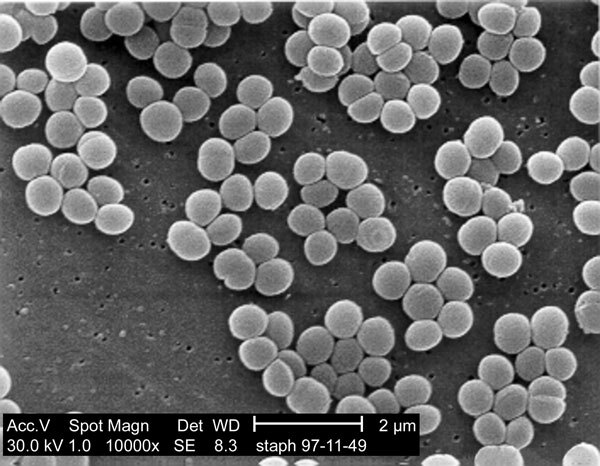 Figure 3.22: An example of a microbe, Staphylococcus aureus bacteria, the most common cause of staph infections, is seen here magnified about 10,000 times. Figure 3.23: A microscopic mite, Lorryia formosa, commonly found on citrus plants and here shown among fungi, is an example of a microbe from the animal kingdom, sometimes called microfauna. As many milliliters of water as pass through the human intestines of the entire world population daily at the rate of 9 liters/day for 5 trillion years. As many seconds as if the entire world population counted 1 number per second for 5 trillion years. As many dollars that it would take for the entire world population to pay back the national debt 25 billion times. It is important to keep in mind that although we and students often equate microbes and “germs,” most microbes are in no way involved in infection and diseases. 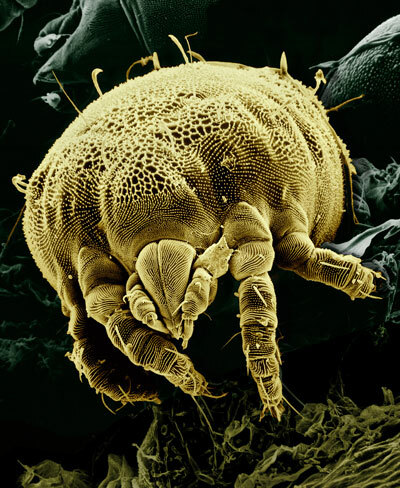 Check Your Thinking: Are there more or less animals than microbes?